Discover the stunning beauty of the North Downs at the prestigious 4-star Mercure Box Hill Burford Bridge Hotel. Enjoy the beautiful surroundings coupled with the divine detail of the hotel itself, with striking wooden beams in the Tithe Barn making this a perfect place to stay in Box Hill. Ideal for couples, the hotel boasts an outdoor heated swimming pool which is available to all guests between May and September. 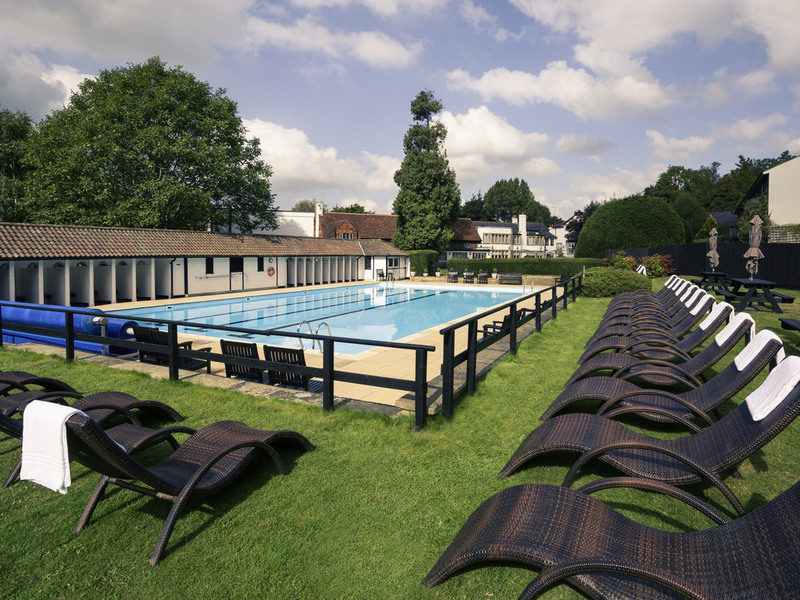 Located in the heart of Surrey, the hotel is easily accessible via most major transport links. Guests travelling by road should exit the M25 at J9. Both Dorking station and London Gatwick airport are also in close proximity. With their fresh new look, all of our 57 rooms are en-suite and offer modern convenience and comfort. You'll find air-conditioning, flat-screen TVs, free WIFI, tea & coffee making facilities, hairdryer, iron and ironing board and a trouser press. or 24-hour room service for something more. You'll find air-conditioning and all the usual things; toiletries, direct dial telephone with a direct line in, hairdryer, iron and ironing board and a trouser press. Emlyn Restaurant is open to residents and non-residents alike. Overlooking the gardens, you can experience fine British contemporary cuisine in an exquisite setting. Al fresco dining is available in our beautifully landscaped gardens. From morning coffee to light lunches, homemade afternoon teas and evening meals, choose froma wide selection of dishes from our Burford Bar & Lounge Menu. The bar serves a wide range of drinks as well as a selection of cocktails. Open every day.